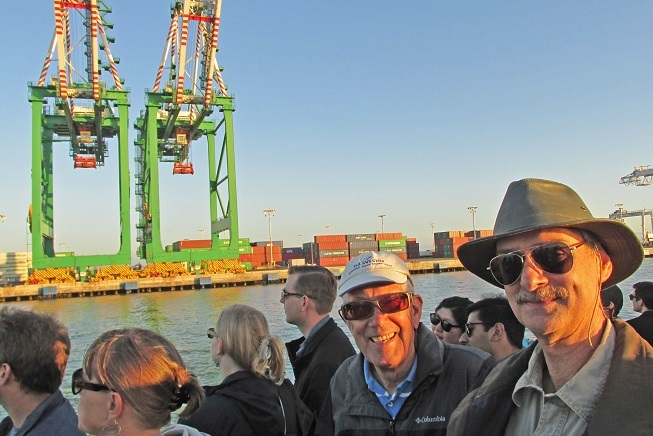 Some of the "Excellent Adventures of Mike and Blake"
Mike and Blake recently enjoyed a water-side tour of the Port of Oakland, which bills itself as the West Coast's largest container port. Here they passed near the two largest container cranes at the port. 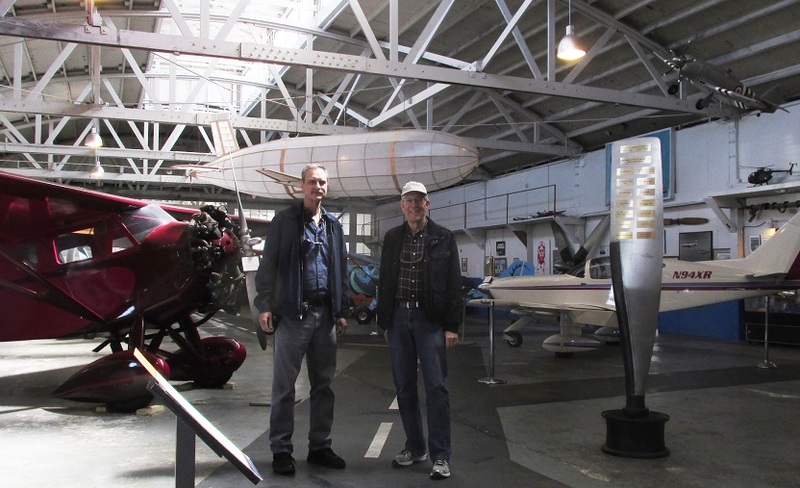 The Oakland Airport Aviation Museum hosted Mike and son-in-law Blake on an adventure outing. 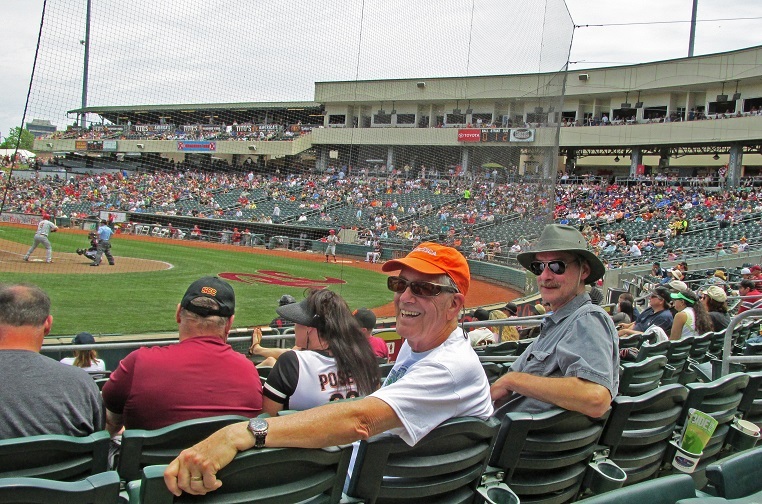 Mike and Blake recently traveled to Sacramento for an afternoon game of the Rivercats AAA-league baseball team. (The Rivercats are the "farm team" for the San Francisco Giants.) This is a smaller stadium, and a more casual, "family friendly" atmosphere. Son-in-law Blake and Mike traveled to Sacramento to visit the California State Railroad Museum in Old Town Sacramento. 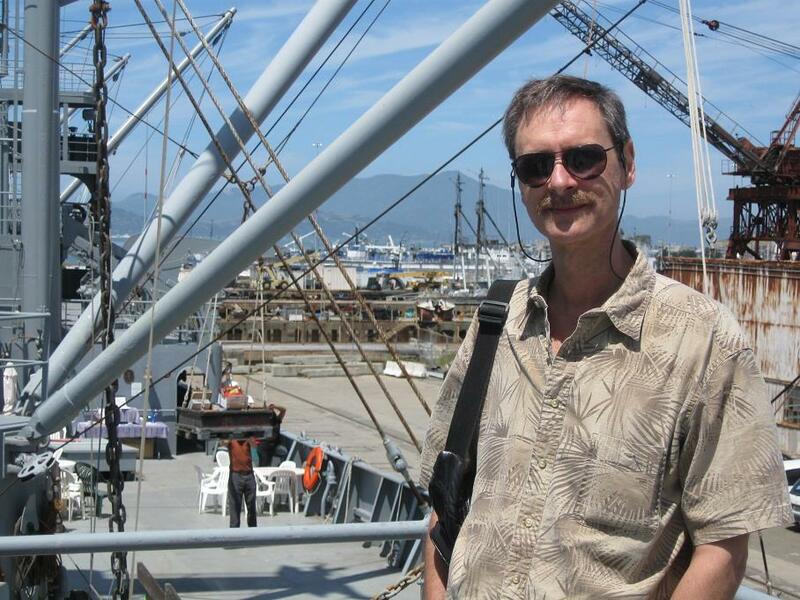 Mike and son-in-law Blake's adventure trips go practically everywhere. 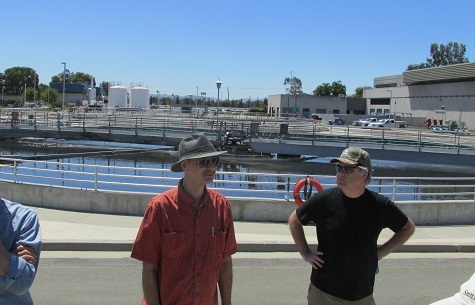 They recently visited a nearby "waste water treatment plant." Here's Blake inspecting one of the aeration basins. 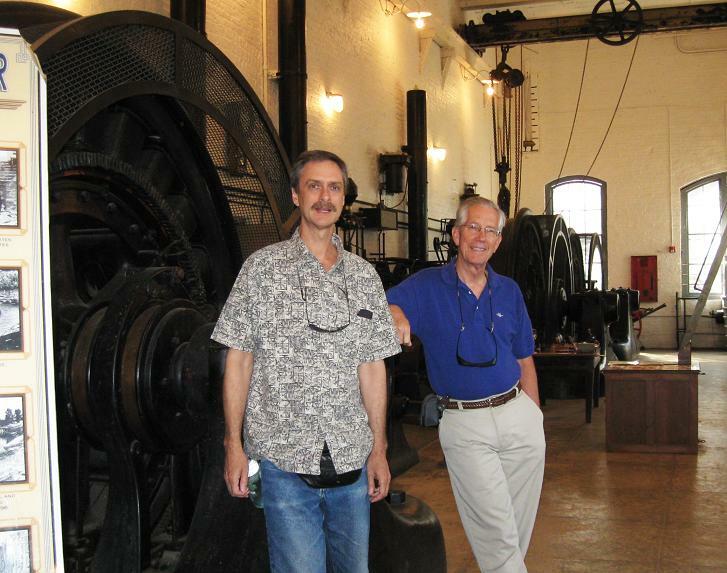 Mike and son-in-law Blake not long ago visited San Francisco's cable car power house (this is what moves the cables under the streets that actually move the cable cars!). 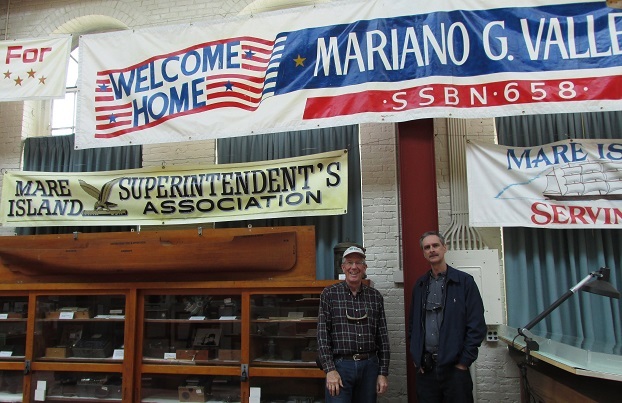 Mike and Blake visited Mare Island Naval Shipyard, where they took in a museum highlighting the 100+ years of the Naval shipyard's history, and toured a WWII navy ship, one of the heavily armed "Mighty Midgets," built to support amphibious landings in the Pacific theater. 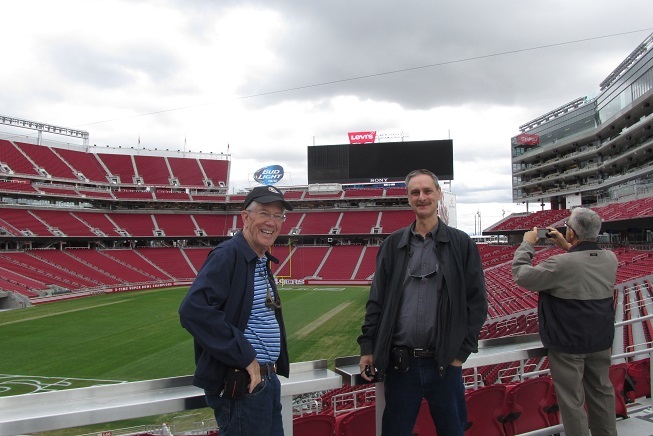 Mike and Blake toured the new Levis Stadium ("home of the 49'ers!") and museum. A beautiful facility (easy to see why the tickets are expensive!). 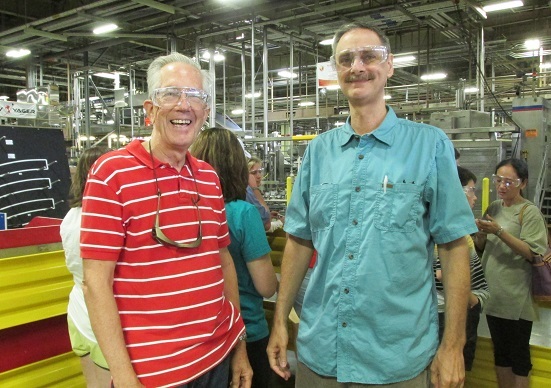 Mike and son-in-law Blake visited the huge Budweiser brewing plant in nearby Fairfield a while back. 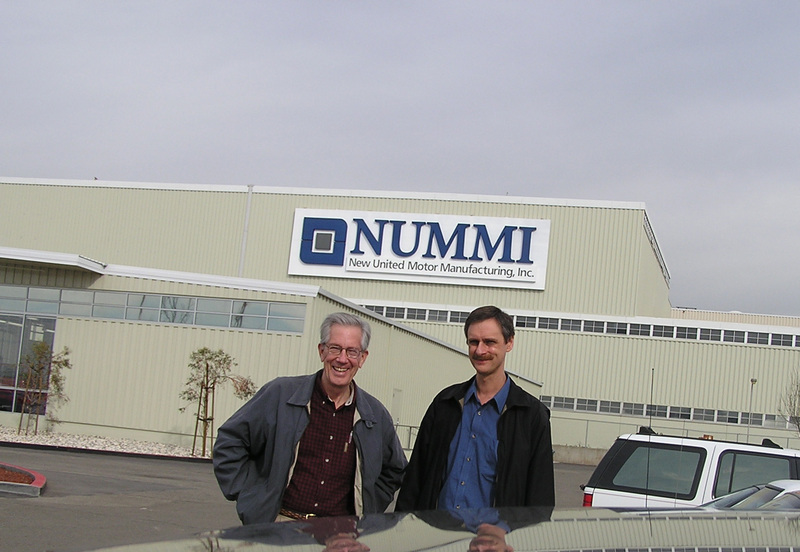 Turns out not many people work there, as the plant is almost entirely automated. 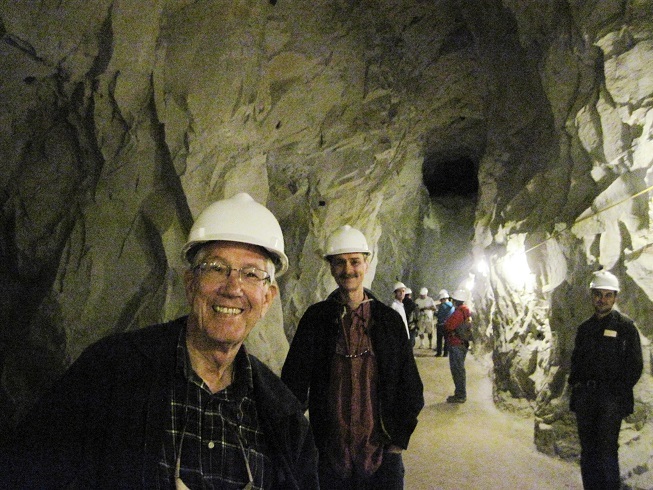 Mike and Blake went to the Black Diamond Mines Regional Preserve in nearby Antioch, with a highlight being a tour way underground in the Hazel-Atlas mine. This area is honey-combed with old mines, some which produced coal, and some, like the Hazel-Atlas, high-silica sand used to make glass. This mine was in operation until 1949. Blake & Mike visited the battleship Iowa while it was docked in Richmond for some restoration work before being towed to LA to become a floating museum. The Iowa was on active duty from 1943 to 1990. 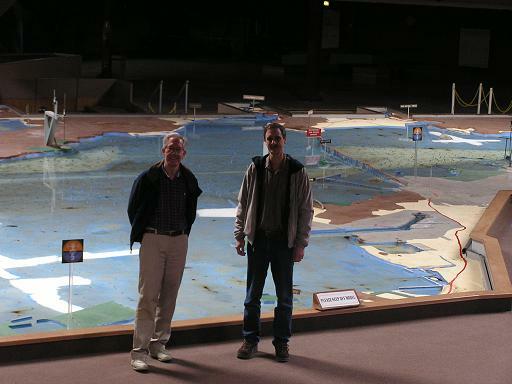 Mike and son-in-law Blake recently visited the Computer History Museum in Silicon Valley, and before that, the new Bay-side quarters of the Exploratorium Science Museum in San Francisco. 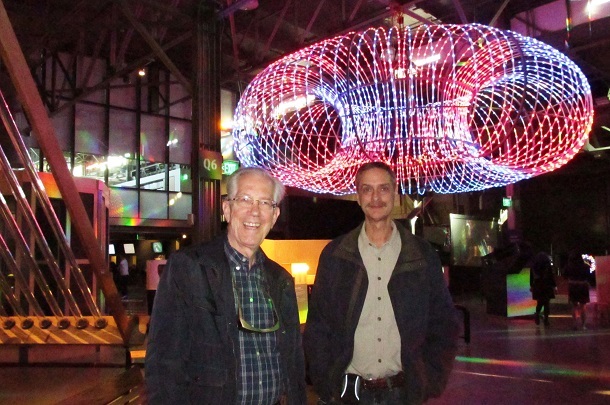 Here they are at the Exploratorium - lots of cool exhibits here, many "hands-on." 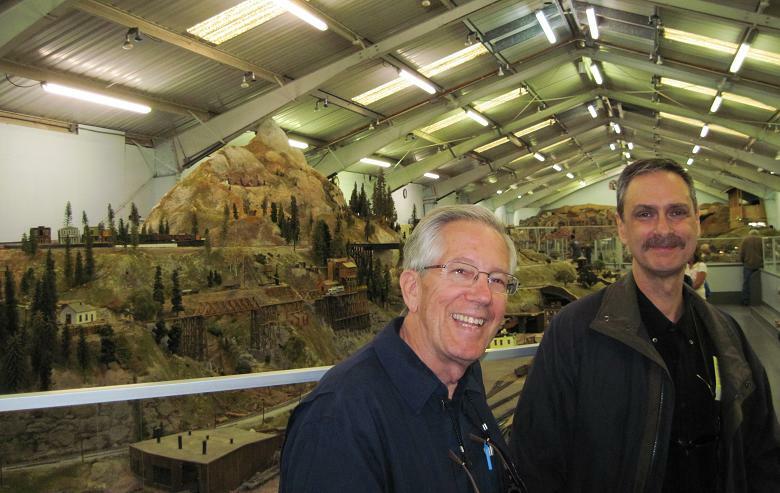 Mike and Blake visited the Golden State Model Railroad Club in Point Richmond - this includes over 10,000 square feet of intricately detailed train layouts, towns, mountains, etc. 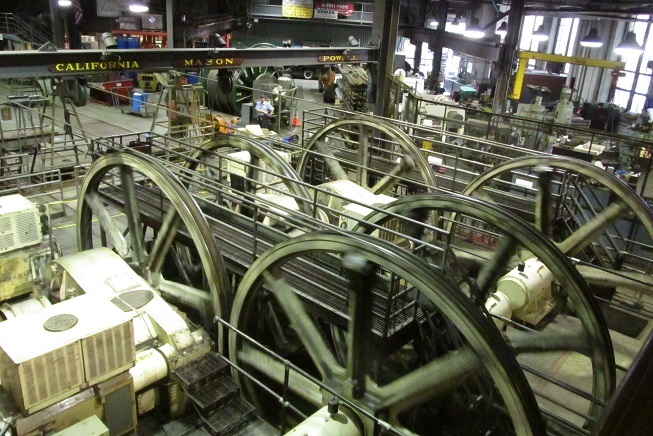 Trains run every Sunday afternoon, and visitors of all ages are welcome! 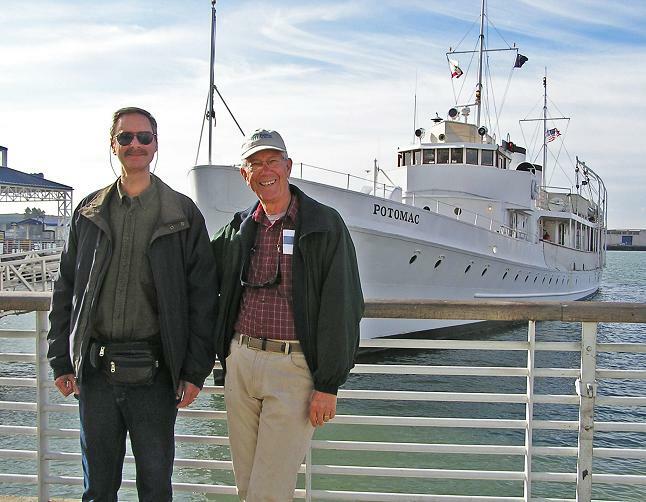 Mike and Blake went over to Jack London Square in Oakland to see the yacht used by FDR when he was President. 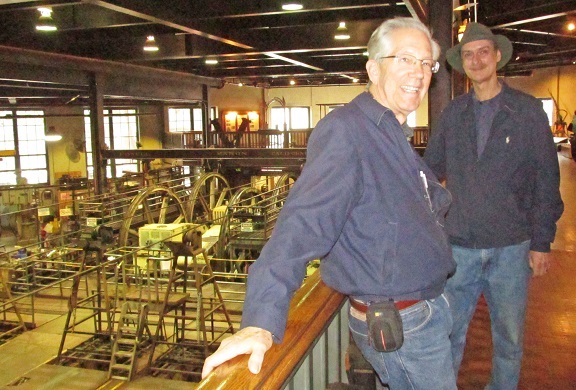 The Potomac has been completely restored, and one can just take a quick tour, or as Mike and Blake did, sign up for a 2-hour cruise around the Bay. 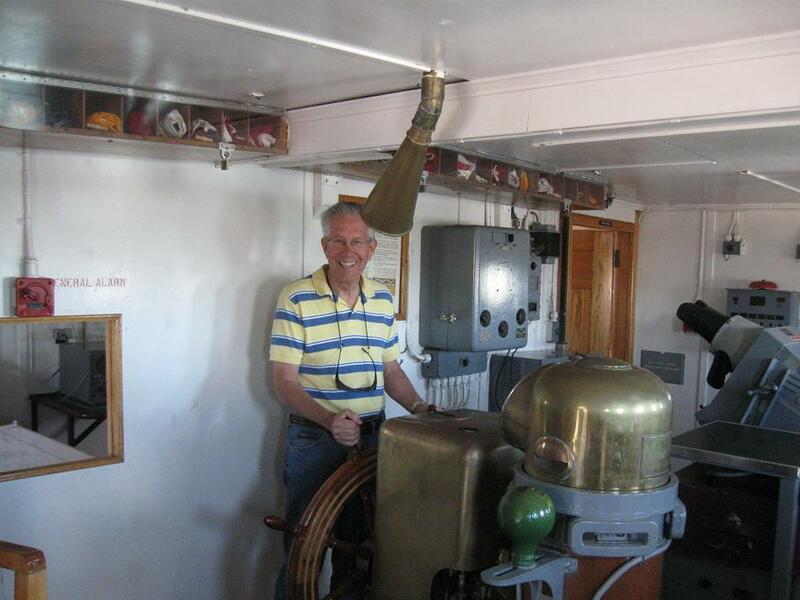 The cruise was great, and the ship's historic surroundings and displays added to a fun day. 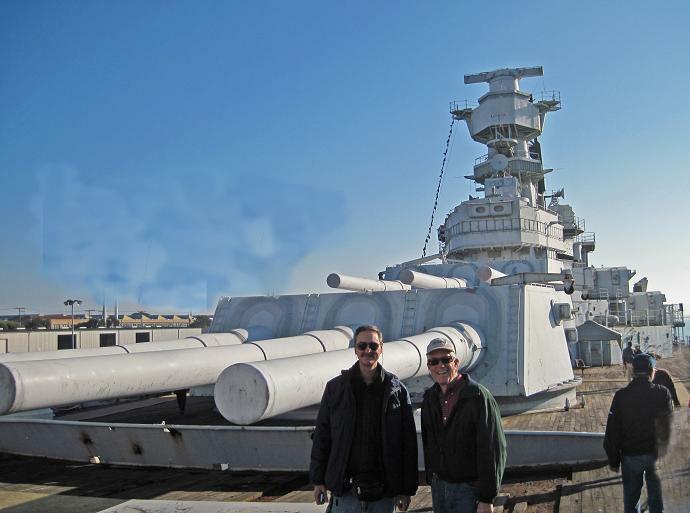 Mike and Blake had another adventure trip to visit the SS Red Oak Victory ship, which is part of the "Rosie the Riveter" National Historical Park in Richmond. 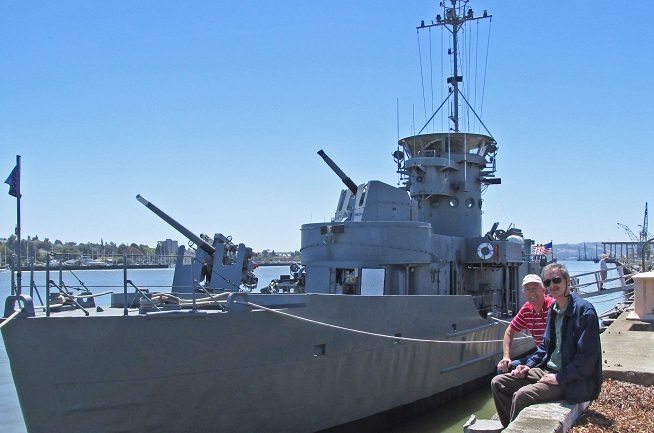 This cargo ship was built at the Kaiser Shipyards in Richmond in 1944, and later saw service in both the Korean and Vietnam conflicts. Just past Sacramento is the Folsom Power House, a water-driven electricity generating plant right below the big Folsom Dam. It was one of the first on the West Coast. 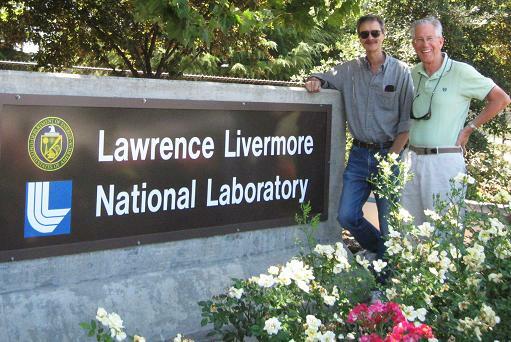 Another Mike and Blake adventure was a visit to the Lawrence Livermore National Laboratory to tour the "National Ignition Facility" where the only research in the country on generating electricity by nuclear fusion is going on -- a huge building full of one-of-a-kind high-tech machinery. No cameras were allowed inside the fence, so we settled for a picture by the entrance gate. 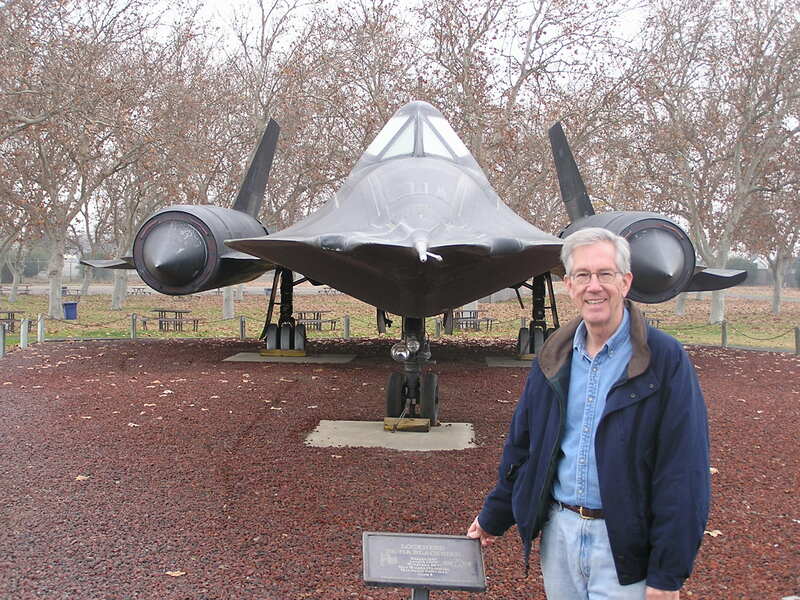 Mike and Blake traveled up to Sacramento to visit an aerospace museum at the former McClelland Air Force Base. 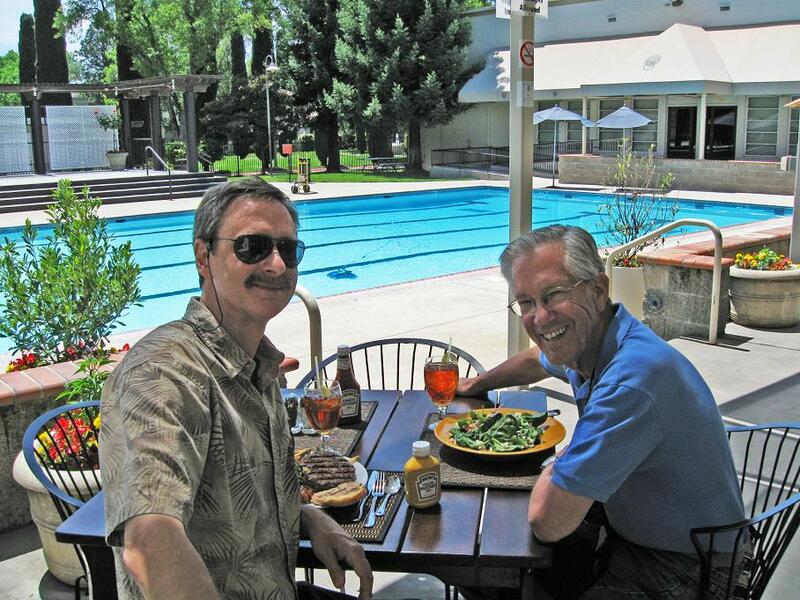 While the museum and its exhibits and planes were interesting, maybe the really unique part of this day was lunch at the old Officers Club - we tried to look like we were roughing it, but it was hard to do ! 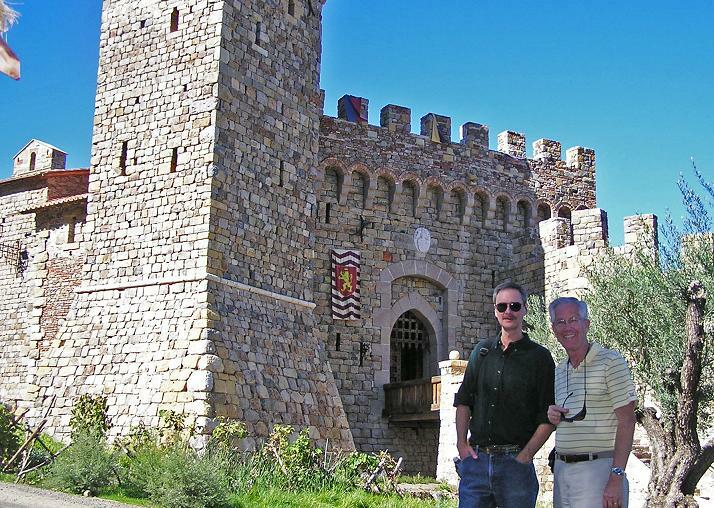 "The Excellent Adventures of Mike and Blake" continued when Son-in-Law Blake surprised Mike recently with a tour of a HUGE castle (which also happens to be a winery) up near St. Helena. This castle has over 100 rooms spread over some 120,000 square feet. 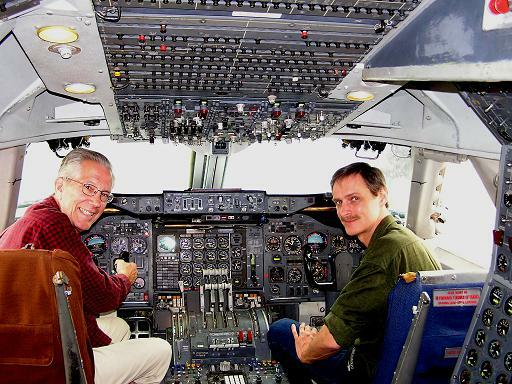 Mike and Blake have traveled to many destinations over the years. 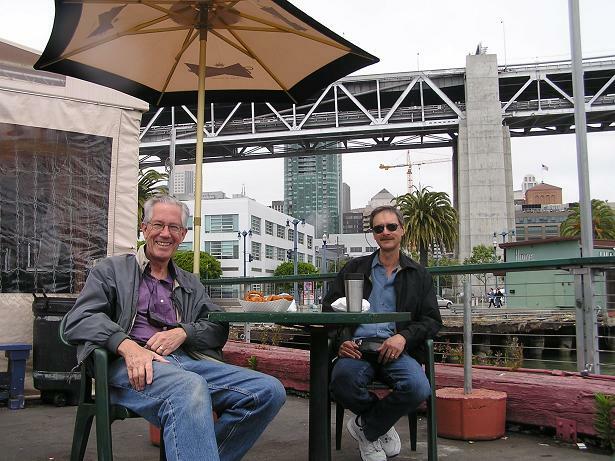 Not long ago, Mike and Blake headed for San Francisco, stopping first for lunch at an old Herb Caen institution on the waterfront called Red's Java House, a hole-in-the-wall hamburger joint right under the Bay Bridge. 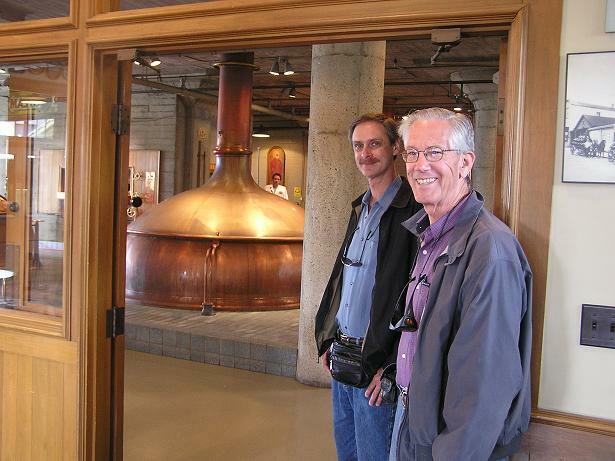 Then they toured the Anchor Steam Brewery, and learned the fine points of making beer. There was some tasting involved, but I'm not posting pictures of that ! 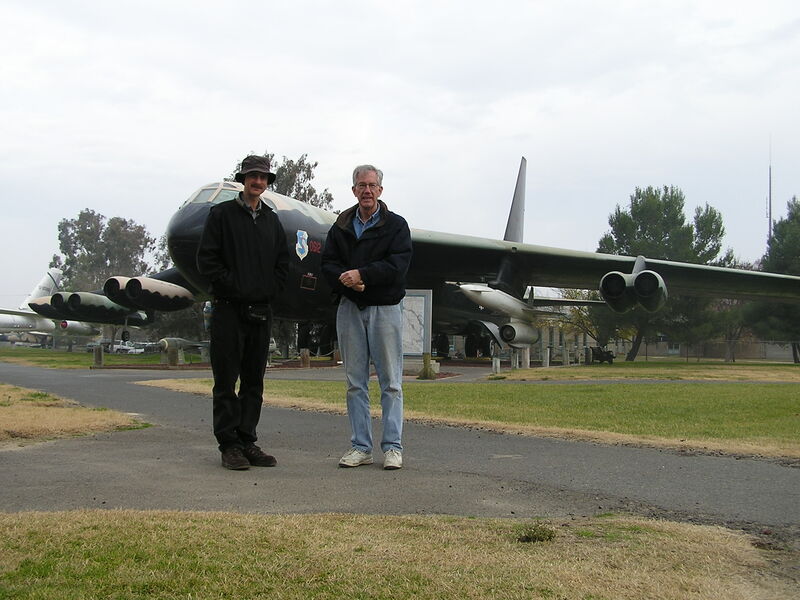 Earlier, Mike and Blake went to an air museum at the old Castle Air Force Base, where they got to see 40+ aircraft, including the SR-71 and a B52. 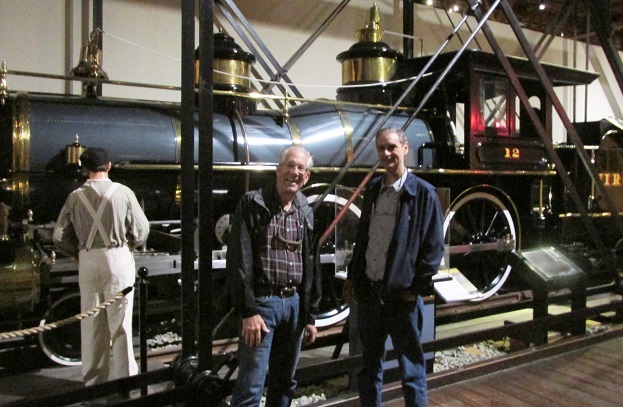 Mike and Blake have also toured the Jelly Belly Factory in Fairfield, and rode an old train at the Western Railway Museum near Travis Air Force Base.